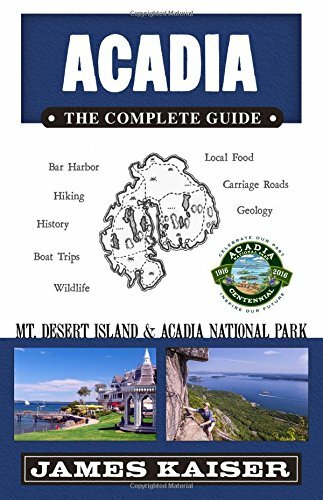 Explore the magic of Acadia National Park with this free destination guide and vacation planner from Compass & Key. Featuring four self-guided itineraries for wandering the park, with essential travel tips to escape the crowds. The first light of dawn to touch America each day graces the granite coastline of Acadia National Park. In this northeast corner of Maine, beyond the shipyards and lobster shops, you will discover a patchwork of parkland interspersed with quaint villages and looked after by friendly residents. It was only through the tireless efforts of 19th-century citizens like George Dorr, known as the Father of Acadia, that the easternmost National Park was created and preserved. While a 1947 fire took away many of the grand estates of the wealthy families who summered here throughout the previous century, it gave rise to new diversity in the forest, creating today's spectacular scenery. Our curated guide introduces you to the beauty of Acadia, from the historic carriage roads to the glacier-carved lakes and mountains. Tallest mountain on the east coast of the U.S. While Acadia is open year-round, many services and businesses operate on a seasonal schedule. The primary visitor center is open mid-April through October, while the fare-free Island Explorer shuttle bus, which allows you to go car-free, is only in operation late June through early October. Most stores and restaurants are open by mid-June. If you're looking to avoid the large crowds in July and August, consider the fringe months of May/June or late September/October. Traffic can be heavy in the summer months, so you may want to spend more time exploring the western part of Mount Desert Island, known as the 'quiet side.' Some locals say the best time to visit is the second week of September when kids are back in school but before the fall foliage seekers arrive (find a foliage tracker here). We visited in mid-October, and while some trails were closed due to ice, we had many hiking trails to ourselves. No matter when you decide to visit, make sure to check the latest park conditions. Picturesque villages and towns are peppered around Acadia National Park on Mount Desert Island, providing a variety of lodging options. There is no lodging within park boundaries other than campsites. Compass & Key enjoyed the charming Holland Inn bed & breakfast ($, hollandinn.com), located within easy walking distance of Bar Harbor's Main Street and the Great Meadow Loop Trail, one of several historic Village Connector Trails into Acadia. The cozy breakfast room makes it easy to meet fellow travelers, and the innkeepers are eager to recommend area sites and restaurants. The hotel offers 13 rooms and operates from late April through early November. The Holland Inn B&B is a Bar Harbor Bed and Breakfast in the heart of Bar Harbor Maine. Less than 1 mile to Acadia National Park on Mt. Desert Island. All stays come with a gourmet farm to table breakfast, and special diets are always welcome. For a historic hotel on the quiet side of Acadia, book a room at The Claremont ($-$$, theclaremonthotel.com). Located a few miles from the Long Pond and Echo Lake areas of Acadia, and about a half-hour drive from Bar Harbor, this shorefront resort has been hosting visitors every summer since 1884. Along with clay tennis courts and rowboats, the Claremont is known for their croquet courts, hosting a tournament every August. The 24 rooms in the main hotel are available starting in mid-June, while the 16 self-service cottages on the property open in late May. All rooms are available through mid-October. The historic Claremont Hotel located near Acadia National Park and Bar Harbor. The historic Claremont Hotel facilities include tennis and croquet courts, bicycles, dock, rowboats, and a library. Acadia is unique among national parks, bordered by historic villages with plenty of dining options to satisfy residents and visitors alike. You'll find restaurant recommendations peppered among our itineraries, but here are three favorites. In the gateway community of Trenton, this no-frills, traditional lobster house opened in 1956 and consistently receives rave reviews. Lobster salad is served on a sandwich instead of a roll because the owner's grandmother served it that way. Open Father's Day through Columbus Day, 8a-7:30p, Mon-Sat, closed most Sundays. Seek out the Burning Tree for exceptional seafood in a casual setting beyond Bar Harbor, and a popular destination for locals. Open seasonally from 5pm daily except Tuesdays, when it is closed. Compass & Key recommends flying to nearby Bangor International (BGR) and renting a car for the one hour drive to Mount Desert Island. 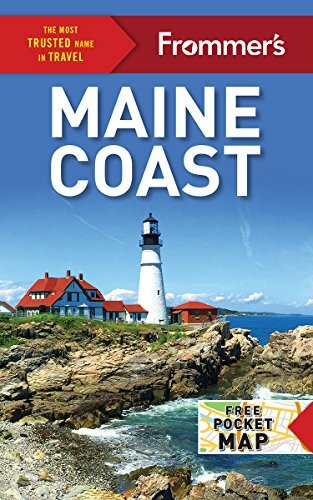 If you'd like to explore more of the Maine coast, fly into Portland (PWM) and spend a day or two driving north to Acadia to explore the villages along the way (it's only about three hours to drive from Portland, but you'll need more time if you decide to explore). Boston is another option for flights, but expect a 4hr30min drive. Most visitors drive around the park. The Park Loop Road and parking areas at the carriage road entrances can be crowded during the summer months, so you may want to take the free shuttle bus, the Island Explorer, connecting many villages and trail heads throughout Mount Desert Island. If you're visiting off season, start your day early or later in the afternoon for the best chances to find parking at the trail heads. Park passes are required in Acadia National Park from May through October and can be purchased online or at the visitor centers and campgrounds . A 7-day pass is $25 per car or $12pp with no car, while an annual pass is $50. If you're planning to visit more than one National Park in a 12-month period, purchase the America the Beautiful National Parks pass for $80. Seniors have access to an $80 lifetime pass and U.S. Military personnel and dependents qualify for a free annual pass. We love supporting the parks and purchase the $80 annual pass each year. Learn about all entrance fees here. The National Park Service offers fee-free days on select holidays throughout the year. For the 2018 list of free days, click here. Compass & Key has curated four itineraries for wandering Acadia National Park, highlighting unique hikes throughout. Scroll below the map overview to select an itinerary with dynamic map and photos, and view our interactive map to plot your course. To save any of the hikes, visit our AllTrails hike list for Acadia, and download the AllTrails app to reference your saved hikes on the go. You can also peruse other hikes in the park based on difficulty, distance, and community reviews. A self-published guide to the park from Maine native and professional photographer James Kaiser. If you're headed to Acadia, make sure to spend a few extra days exploring the coastline of Maine with tips from this 2017 Frommer's guide. 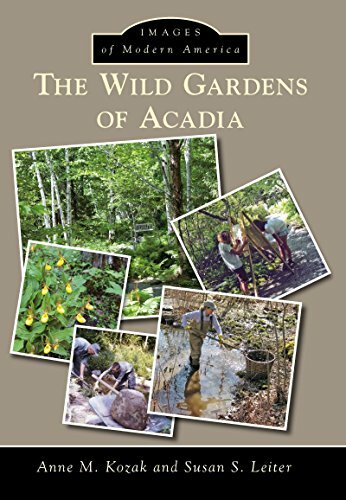 Experience the 13 habitats of the Wild Gardens of Acadia from the perspective of two volunteers who have helped shape the gardens for over 40 years. The National Park visitor centers have lovely souvenirs, but we are also fond of the unique creations by the artist community at Etsy. For everything from vintage posters to original art, tea towels to jewelry, check out our curated list of National Park mementos. If you're looking for a specific park, many of the products are available for different National Parks, just click on the shop name to explore their offerings. Visitor guides and more planning resources from the Bar Harbor and Acadia tourism centers. Explore the destinations highlighted in the itineraries and recommendations of our Acadia National Park Destination Guide. This is only a small sampling of the trails, local shops and restaurants, and natural wonders to discover. If you're on a mobile device, click here to view the map. OR, take the Compass & Key map of Acadia with you by downloading the Mapstr app and following us @compassandkey. To celebrate the 100th anniversary of Maine's Acadia National Park, Martha Stewart, who is passionate about preserving and protecting it for the future, hosted a dinner for the Friends of Acadia to benefit the carriage roads that wind through this beautiful and rugged place. Although there were inhabitants on Maine's Mount Desert Island as many as 5,000 years ago, it was the arrival of French and English settlers in the 19th century that brought the beautiful area greater fame. Affluent visitors from throughout New England flocked to the island to enjoy the scenic views that had been depicted in popular paintings. If you've ever turned onto the one-way section of the Park Loop Road in Acadia National Park, only to realize that the parking lot you were aiming for is in the opposite direction, you're not alone.